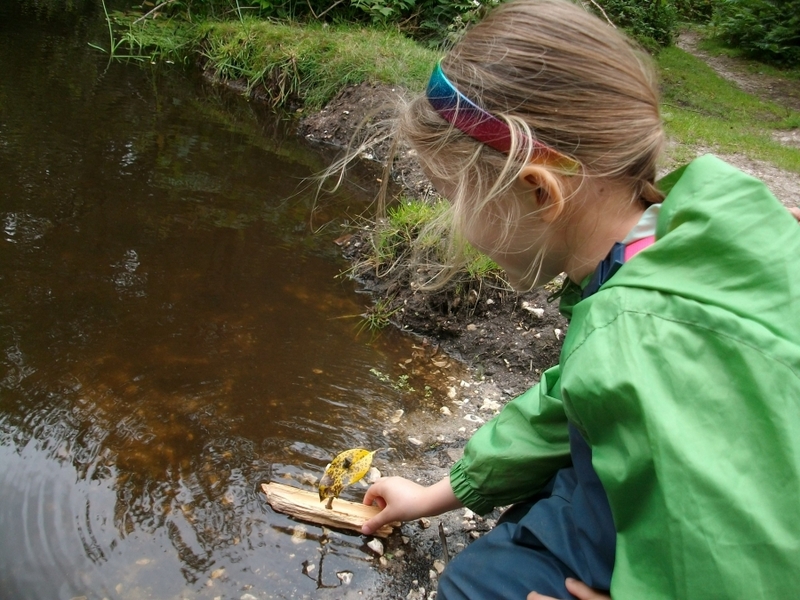 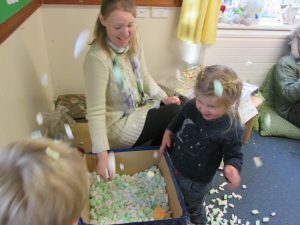 We spent most of the session in the garden – and to warm up had toasted bagels and hot chocolate at snack time … then went outside again! 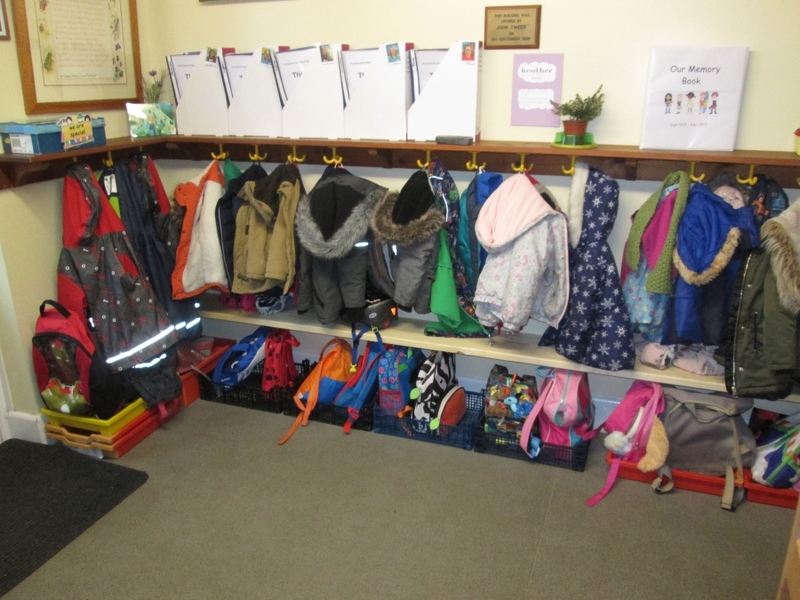 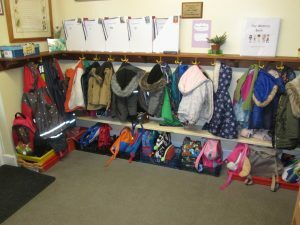 We have tidied up the cloakroom so children can find their coats and bags with ease…and so can the Playleaders! 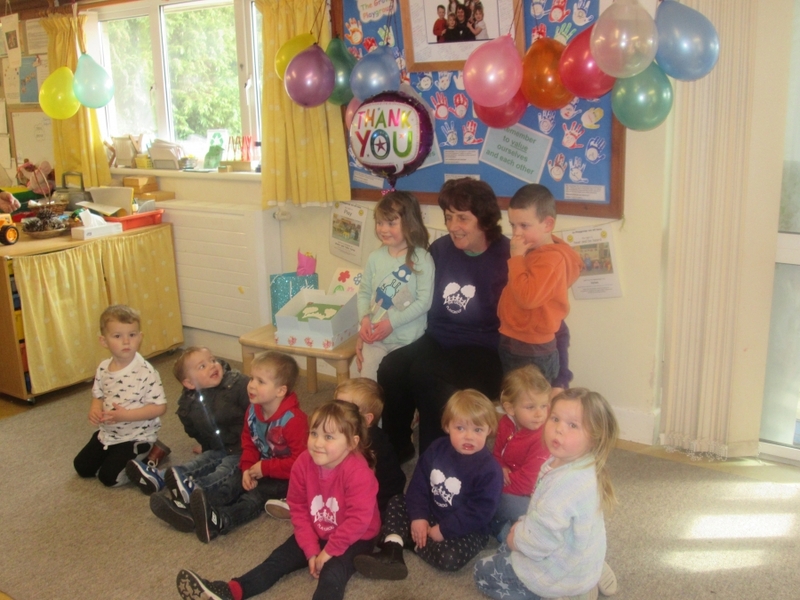 We all came together to say thank you and to wish her well in her retirement. The children had space to run around, make footprints, snow angels and snow balls! 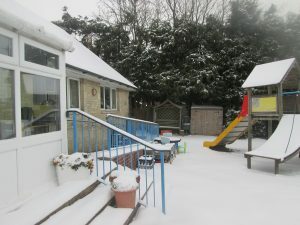 The pipes froze … and Playgroup closed. 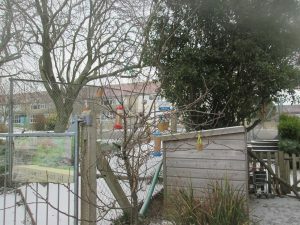 To look after the birds in the cold weather, the children made bird feeders and we watched the robin come down for his breakfast. 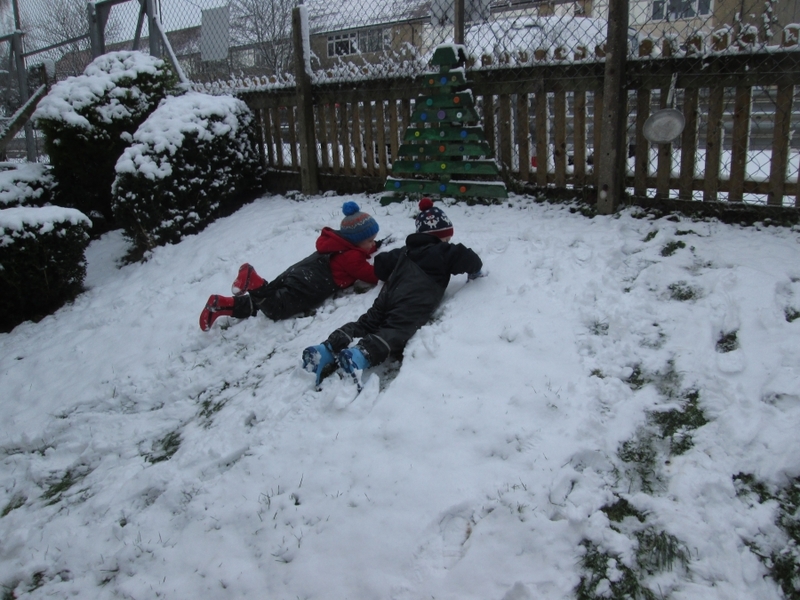 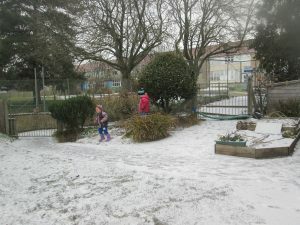 The children were able to go out and explore the snow – making footprints and playing follow the leader around the garden. 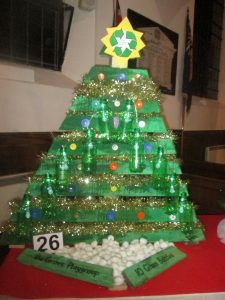 A small group went to Church to have a look at the festival and the children had tea and cake with the Vicar. We had some new play spaces created in the garden by DCC Sufficiency and Funding Team who chose The Grove for their volunteer day. 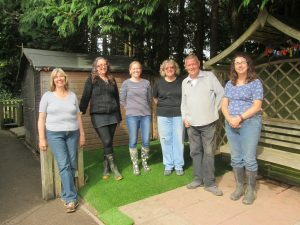 Their hard work meant the garden has been extended with two astro turf areas which have added to the children’s outdoor opportunities. Thank you to the team. 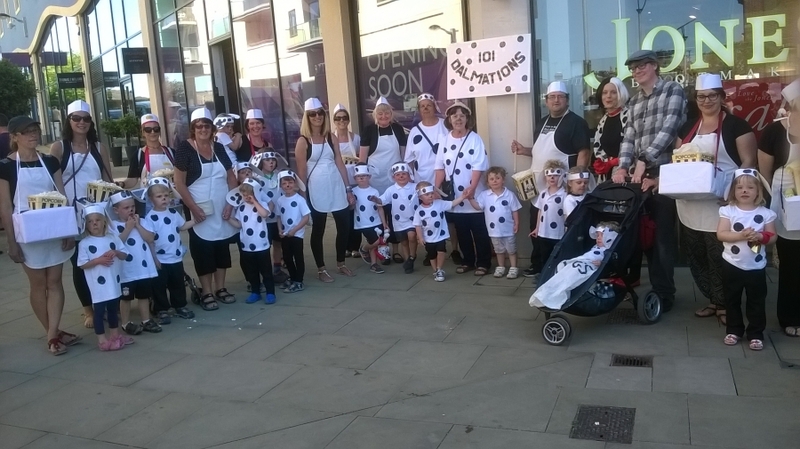 We entered as 101 Dalmatians … and won the cup. 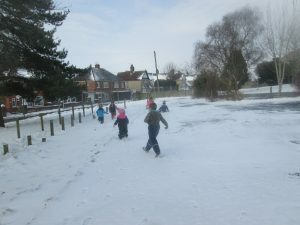 Well done to parents and children who took part in this Community event. 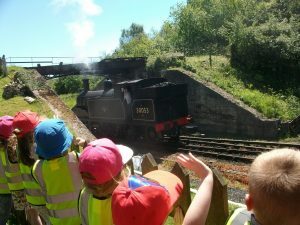 As a special treat we are taking all our leavers to The Swanage Railway for a train ride and a seaside picnic. 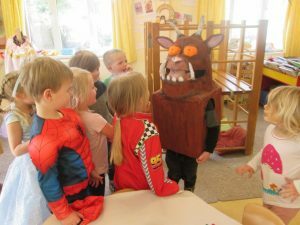 The children had fun dressing up. The Gruffalo came to visit … and was greeted by Spiderman and friends. A lovely sentiment to end the sessions. 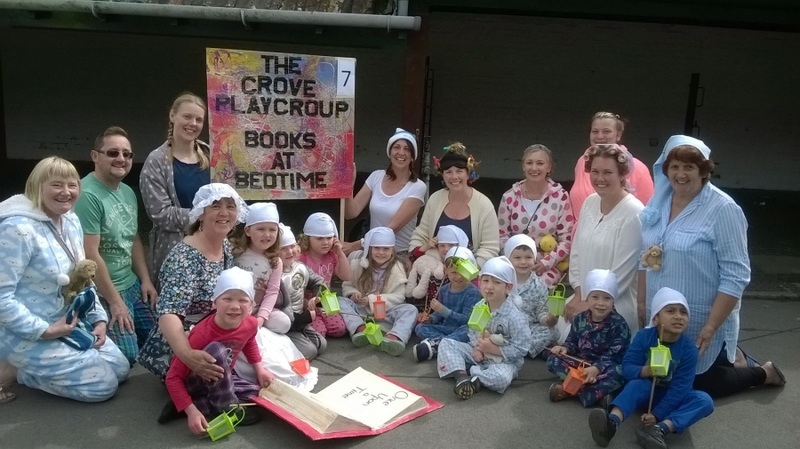 We had fun – wearing our pyjamas and joining in the Carnival. The children enjoyed the community event, waving to “lots and lots of people” as they walked around the town. Putting the fun into Fund raising. Thank you to everyone who supported the event we made £150.